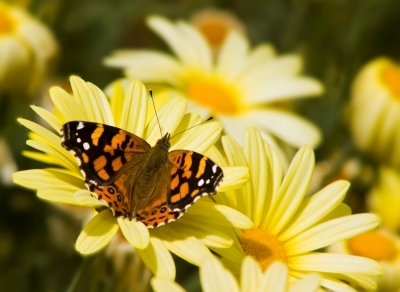 This entry was posted in Butterflies, Climate change, Nature, Wildlife and tagged Big Butterfly Count, Butterfly Conservation, countryside, Sir David Attenborough. Bookmark the permalink. I did the Big Butterfly Count in 2010 and recorded really good numbers, 11 species in the 15 minute slot and 4 more on the same walk. Since then disastrous summer weather has badly affected the butterflies and this year looked to be shaping up the same way until the sun came out in June. Last weekend I went to Brampton Wood in Cambridgeshire to look for hairstreaks. I didn’t see any but I got chatting to the warden who said that summer butterflies such as white admiral and purple emperor were present at Fermyn Wood in Northamptonshire in really good numbers! So hopefully all the Lepidopterans will get a chance to recover. I heard the Brits voted against the EU ban of neonics earlier this year. I imagine the continued use of those represents a great part of the reason for the decline. Glad the weather is better this year to help in the re-bound! I’m sorry to hear this because I’ve seen so many more butterflies this year than in past years, both where we walk and in the garden. I was hoping that they’d bounced back a bit with the good weather. First the bats, then the bees, now the butterflies– hard not to see disasters all around!! Thanks for posting. Copied below are the comments I left on Jenny Steel’s blog, concerning the rather ironic abundance of winged insects this Summer.